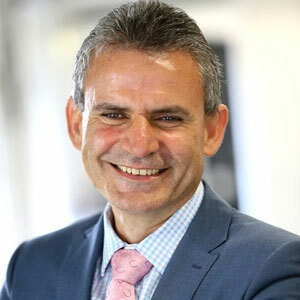 Gerard has been Group Executive Technology at ANZ since January 2017. Gerard is responsible for defining ANZ’s technology strategy, and building and managing ANZ’s technology infrastructure. This includes overseeing the development of new technologies, implementing existing technologies to help the Bank reach their strategic goals and creating systems and processes to make the best use of ANZ’s resources. Gerard has worked in technology for more than 30 years. He was previously Chief Strategy Officer for the Global Cloud Business Unit at Dimension Data where he was instrumental in the establishment of a portfolio of cloud-enabled managed services operating on a global platform. Prior to that, Gerard was Chief Technology Officer and Chief Marketing Officer for Dimension Data’s Australian division. He has also been a member of ANZ’s Technology and Digital Business Advisory Panel since it was established in 2015.